Adventist Mission | It's Easy! Burundi is a tiny country in east-central Africa. It lies east of the Democratic Republic of Congo, west of Tanzania, and south of Rwanda. Although it is one of Africa’s smallest countries, it has a large population for its size—10.1 million people. However, most of the people live in small settlements, where they farm or raise cattle. The capital city is Bujumbura [boo-juhm-BOO-rah], located in western Burundi along the shore of Lake Tanganyika. Its population is about 750,000. 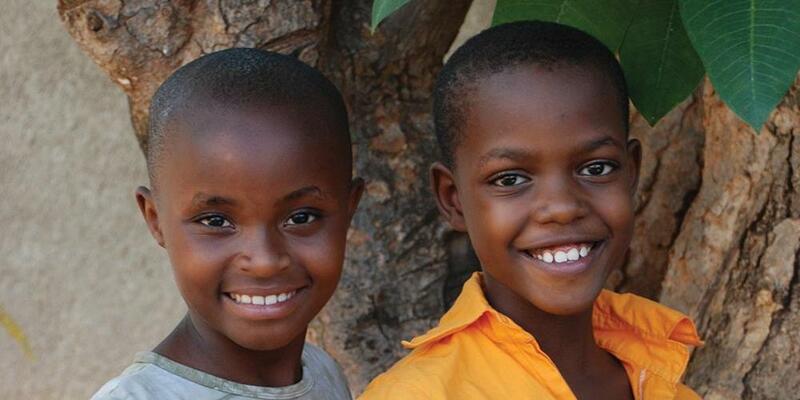 Larissa and Rosette live in the tiny country of Burundi in eastern Africa. [Locate Burundi on a map.] Larissa is 8 years old, and Rosette is 7. The girls live near each other and are best friends. Larissa and her family are Adventists. One day while the girls were playing together, Larissa’s mother called her to come into the house for family worship. Larissa looked at Rosette and said, “Come on! It’s time for worship!” Rosette followed Larissa into the house. The family sang a song about Jesus, then Mother read a Bible story and they all prayed. Rosette often told her mother about what she was learning in Sabbath School. Sometimes she recites the Bible texts that she’s learned, and sometimes she sings the songs she has learned in church. Her mother listened as Rosette talked about the fun things she did in Sabbath School. Rosette even liked the worship service that followed Sabbath School. One day Rosette invited her parents to go to Sabbath School and church with her. At first they didn’t want to go, but Rosette kept inviting them. “Please, come at least once,” she begged. Finally, Rosette’s mother agreed to go to Sabbath School with her. Rosette’s mother couldn’t always come because she was taking some classes. But whenever she had no classes, she went to church with her daughter. Once she finished the Saturday classes and she could come to church more often. Rosette wanted her family to pray together like Larissa’s family does. So when her mother started going to another Adventist family’s home to have family worship, Rosette went with her. Rosette learned that her mother and father wanted to have a baby. So she began praying for a baby. A few months later Rosette learned that her mother was expecting a baby. Then Mother had another surprise for Rosette. She had decided to be baptized. Rosette was so happy! Rosette is glad that Larissa invited her to church. Now Rosette is thinking of inviting one of her classmates to come to church with her. After all, that’s what missionaries do.